FLOWER POWER FOR YOUR WEDDING. Flowers are such an important part of any brides wedding day. From bouquet to button holes and depending on the style of wedding flowers bring together colours and themes perfectly. Table decoration for flowers don’t need to cost the earth. 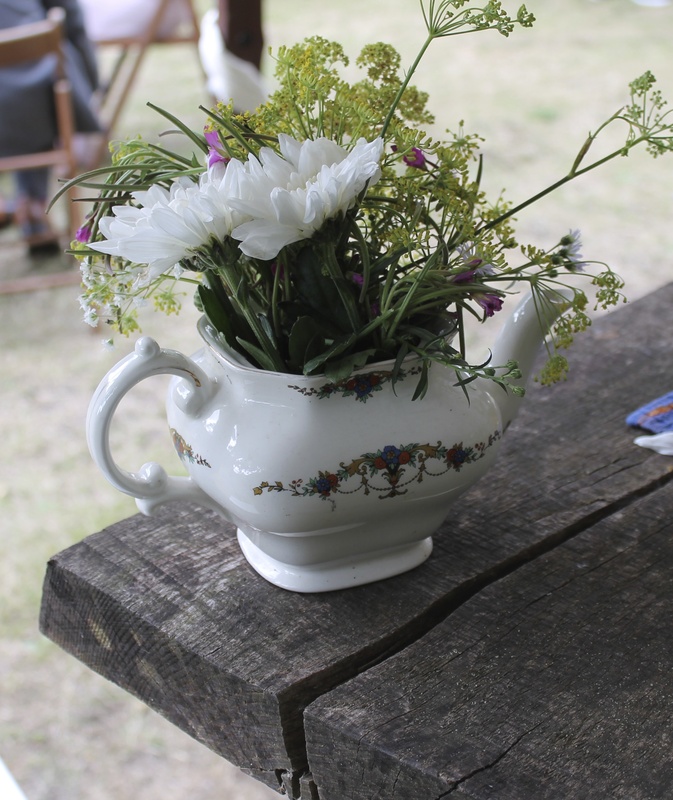 I love the idea of taking personal items form the bride and grooms friends and family’s to create unique centre pieces on each table – Old teapots and teacups from nan’s cupboard or dad’s watering cans and garden pots. Mixed up wedding decor is still a huge trend for 2014 weddings so embrace some individuality and play with different decor for each table for true rustic charm. We have lots of large flower jars, vintage glass, log rounds, crochet doily’s and more to give your flowers some personality.